What are the best creams for African Americans who want lighter skin? This article discusses the best products for dark skin spots and marks, and the various side effects sometimes associated with them. Lightening creams are also known as bleaching creams. They reduce the melanin normally found in your skin. Lighteners are often used for the treatment of acne scars, age spots and discoloration of skin related to changes in hormone levels. Lightening creams also have their inherent risks, so read the labels carefully before you use them. Melanin is integral to your skin tone. If you have dark skin, you have more melanin in your skin. Your genetic makeup determines the amount of melanin your skin contains. Melanin production is affected greatly by exposure to sunlight, damage to the skin or exposure to any chemicals that might affect it. One of the most often used components of lightening creams is hydroquinone. If you purchase lighteners without a prescription, they will generally contain no more than 2% of this ingredient. Dermatologists can prescribe up to a 6% hydroquinone solution. Check with your physician before you use a product that contains this ingredient. This lightening cream is used mainly for treatment of spots and is suitable for most any type of skin. It has 25% vitamin C and is applied to selected areas of the body, wherever it is needed for dark or brown spots. Since the vitamin C is so concentrated, it is an excellent choice for dealing with stubborn areas of discoloration. This lightening treatment may be too strong for you if you have rosacea. If you have rosacea, test the spot treatment product on a small area of skin before you use it on larger areas. Protect your skin with an SPF 30+ every day, or you may not achieve the full effects of wrinkle effectiveness and skin lightening. This lotion is light in weight and one of its most useful ingredients is niacinamide. The fragrance-free, silky formula is suitable for all types of skin. Pro-X includes soothing agents, to ease dryness as you improve uneven skin tone and brown spots. This product is a great choice if you want a brighter skin tone, yet have sensitive skin that can’t tolerate hydroquinone. It comes in specialized containers and has no fragrance. The ingredients are kept stable by its packaging, even in sunlight. This product contains undecylenoyl phenylalanine, a useful ingredient that has proven itself to be very effective on skin discolorations and dark spots. It also includes licorice root. This is a natural ingredient that affects melanin production and has anti-inflammatory properties. Caffeine in this product provides valuable antioxidants, which help to keep your skin healthy. This product has an effective formula for lightening the skin. It contains 10% glycolic acid and 2% hydroquinone in a 3.3 pH base, which keeps its hydroquinone usable and stable. 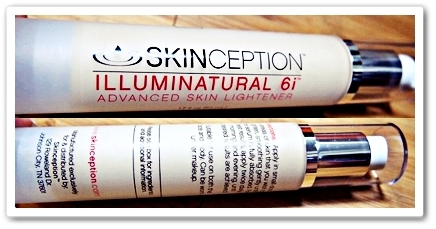 Spot Light works most effectively on dry to normal skin and can be applied over the entire face. This brand, however, is missing some helpful ingredients found in other products, including antioxidants. Despite this shortcoming, it is regarded as a valuable option for people trying to lighten up any dark or brown discolorations. It also includes a fragrance, which may cause skin irritation when it is mixed with other types of active ingredients. This product includes a variety of ingredients that are said to help in lightening dark spots and skin imperfections. It works especially well on skin problems brought on by damage from sun exposure. Lytera contains an effective level of a stabilized form of vitamin C and niacinamide, two ingredients with a lot of research behind them. This creates a product that is effective in fighting skin discoloration. It also contains licorice root and retinol, which are helpful ingredients when you want to lighten skin discolorations. This cream contains antioxidants, including vitamins E and C. It also has peptides, which don’t have a great deal of research behind them. The manufacturer claims that peptides do have a positive effect for lightening dark spots. The main drawback to this brand is their pricing. It is among the more expensive skin lightening creams available. If you have sensitive skin, this product is not recommended for use, since it contains a fragrance. The skin of African Americans contains more melanin as compared to the skin of people who have paler complexions. The higher melanin content provides many benefits for the skin. African Americans have a lower skin cancer risk, and their darker skin is not as greatly affected by UV rays. In addition, their skin isn’t as prone to fine lines or wrinkles. Excessive melanin, however, does lead to skin that may have more blemishes and dark or light patches. There are many tips you can use to safely lighten your skin tone if you’re of African American descent. You should avoid using skin creams containing harmful chemicals. Illuminatural is thought by many to be the best possible skin lightening product for people with dark skin. It includes natural ingredients, which help in producing safe results. Niacinamide and Alpha arbutin are two ingredients proven effective in lightening the skin. They work actively to inhibit melanin production, allowing the skin to beam with good health. The product also contains all-natural exfoliators which work well against dark skin cells. It is an anti-inflammatory product that also includes healthy antioxidants. Attempting to remove full body discoloration is not advised, since any cosmetic applied over a large area may be unhealthy or even dangerous. The unique tone of your skin is yours alone, and you should respect it as such. Broad-area skin lightening can even lead to deadly health problems, including cancer. The increase in your risk of cancer and other health issues is of major concern when you use creams to lighten your skin. Products that contain ingredients that reduce your natural melanin production are not mild enough to be fully safe. Using a product like this continuously isn’t recommended, even when you’re only using it for treating only spots. Melanin production helps your skin to defend you from dangerous UV rays of the sun. Mercury is toxic, and may lead to kidney problems and possible neurological issues. If you are pregnant and use products with mercury in them, it could expose your unborn child to mercury poisoning. You shouldn’t see mercury in any products in the United States, as it is banned, but if you buy a foreign product, avoid those that include mercury. Some ingredients in skin lightening products interfere with your body’s ability to produce melanin. Some products even interfere with your body’s hormone production and healthy hormone levels. You may experience allergic reactions when you take some brands of skin lightening pills. Certain areas of your body may develop rashes or swelling. If this occurs, discontinue use of the product and contact your physician right away. Be sure to take the offending product when you see your physician, so that the troubling ingredients can be discerned. This will keep you from having the same reaction later, with other products. Several ingredients found in products designed to lighten the skin have caused symptoms including indigestion, insomnia and others. Hydroquinone in products designed to lighten skin has been determined to put users at higher risk of developing cancer. In fact, the ingredient has been banned in some countries, due to this concern. Taking pills for skin lightening constantly may be harmful to your body. The liver may overwork itself due to the ingredients, which can cause it damage. Lightening the skin is popular today. People understandably want their skin to look vibrant and young. Uneven skin and dark spots may make you appear as though you are always tired. That’s why it’s vital to take a good look at products before you use them on your skin. Choosing the wrong product can lend itself to hyperpigmentation and irritation of your skin. In order to avoid this issue, choose carefully when you want a skin lightening product for your skin type. This is considered the perfect skin type, not excessively oily nor dry. Skin of this type has a sheen caused by excessive amounts of sebum, which may accumulate on your skin surface. If you have oily skin, your skin may look and feel oily and glossy. This skin type needs to be nourished. 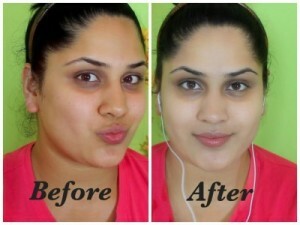 You will seek to gain a healthy glow, without stripping all the oils, which would impact your natural skin tone. Oily skin has larger pores and it experiences more frequent breakouts. If you have dry skin, it is lacking in moisture. You may experience flaking, dry patches and scaling. Choose a skin lightening formula that is very mild, and which delivers long term results. Products with soothing ingredients like aloe Vera tend to be very moisturizing. This topical ingredient is one of the primary ones in topical products. It inhibits melanin production and includes antioxidants. The concentrations run from 2% in over the counter products to 6% in prescription products available from physicians and dermatologists. It is also sometimes used with tretinoin. This combination helps to prevent melasma hormones induced by exposure to the sun. It can prevent dark skin from producing adequate melanin, which is essential to natural skin color. It is still regarded by many as the best component for skin lightening. This ingredient is quite effective in treating discoloration of the skin. You will want to avoid the sun if you use this product, as it will tan your skin. Using this ingredient may cause your skin to be more sensitive than usual to the sun’s UVA & UVB rays. It is useful, but not the best ingredient in skin lightening products. This ingredient is strong, and it contains antioxidant properties. If taken in a large dosage, it can enhance your immune system while it inhibits melanin production. Many skin lightening creams, injections and pills utilize this ingredient. Arbutin is derived from pears and bearberry leaves. It inhibits melanin production. Studies show that this component is efficient in lightening skin. Next articleCan Maladaptive Daydreaming Be Treated?